SILVER SPRING, Maryland – The United States government is afraid to work directly with persecuted Iraqi and Syrian Christians because it doesn't want America to look like a "crusader army," prominent human rights lawyer and religious freedom advocate Nina Shea said Friday. While speaking on a panel discussion focusing on global persecution at International Christian Concern's first annual conference on the persecuted church, Shea, the director of the Washington-based Hudson Institute's Center for Religious Freedom, detailed the U.S government's troubling pattern of indifference toward the plight of persecuted Christians across the world. In addressing whether or not it will be plausible for Christians and other religious minorities in Iraq to have their own province in the Nineveh Plain once the Islamic State is defeated so that Christians can return to their homelands, Shea stressed that she doesn't think that such outcome could happen because Christians would have serious trouble defending the land. "I am not terribly optimistic about the Christians getting their own province, at least not right now," Shea bluntly asserted. Shea said that although it is plausible to train Assyrian and Chaldean Christians and other religious minorities to defend their own province, the U.S. has a "complex" when it comes to working directly with Christian people groups. "Maybe they can be trained, maybe the U.S. can overcome its reluctance to work directly with Christians because it has a complex that it doesn't want to look like a 'crusader army,'" she explained. "This was true under the [George W.] Bush administration and more so now that the United States is desperate to avoid the label that we're a 'crusader army.'" In general, Shea added, the U.S. government is "so unsympathetic" to the plight of Christians. "The day before [Sec. 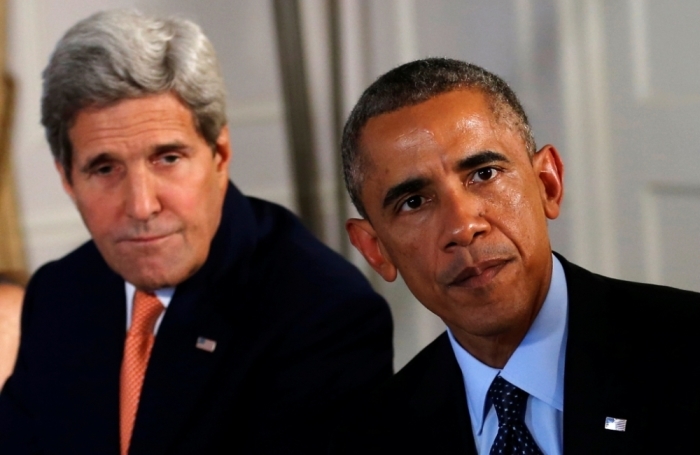 of State John] Kerry designated [ISIS' atrocities against Christians and other religious minorities] as genocide officially, the [State Department] were announcing they were only going to name Yazidis as victims of genocide," Shea stated. "We signed petitions and put enough pressure on them with facts and arguments that [Kerry] listened but he hasn't done anything since then." "In fact, he went to Iraq and gave two speeches a month later and never mentioned the genocide issue," Shea continued. "This is Secretary Kerry, he gave a speech on the anniversary of the Holocaust and said 'never again must we forget' and never mentioned the ongoing genocide in Iraq and Syria right now." In addition, Shea pointed out the fact that Syria's Christian population has not been fairly represented in U.S.' Syrian refugee resettlement program. "Christians comprised 10 percent of the population of Syria before the war five years ago, they constitute less than one percent of the refugee resettlement in the United States. 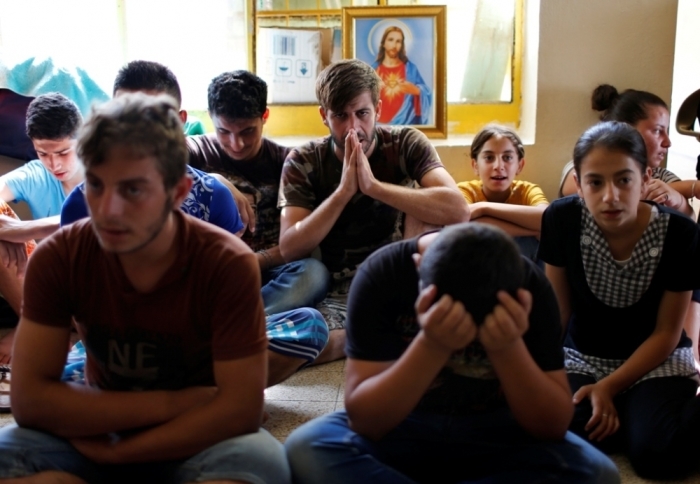 The United States has resettled about 60 christians in five years from Syria," Shea said. "I don't think at this point, we want to see all the Christians pull out but there are certainly more than 60, like the woman who saw her husband [crucified on their front door], she is not going back. She doesn't ever want to go back. She wants to get out." "The United States as a government is absolutely indifferent and keeps its distance from oppressed Christian minorities," she added. As Shea does not believe that Christians will be able to defend their own province in northern Iraq, she believes the best thing for Christians who want to remain in the region to do is stay in Kurdistan under the protection of the Kurdish government. However, fellow panelist Juliana Taimoorazy, the founder of the Iraqi Christian Relief Council and an Assyrian Christian who fled persecution in Iran in 1989, warned that Christians also face injustices living under Kurdish rule. "The priests and clergy do not openly speak. Many of them are under pressure. So, they come in with a different message," Taimoorazy detailed. "There are many Assyrian businesses that have Assyrian names and Aramaic letters on their stores. According to a new law, the new businesses that are opening are not allowed to have Assyrian names. They have to be Kurdish." Taimoorazy added that the Kurdish Regional Government also makes it hard for internally displaced Christians to get a job and gain economic stability. "When a Yazidi is given a permit to work for six months, an Assyrian Christian is given a permit to work for a month. There were many cases that came to us complaining about that," she said. "They said, 'They make us go back over and over again and sometimes they deny the permit that we are given on a monthly basis.'" Taimoorazy explained that the Iraqi Christian Relief Council went to Kurdistan about a month ago and most of the Christians whom her organization spoke with expressed a desire to ultimately return home to the Nineveh Plain one day. But after speaking with Kurdish generals, Taimoorazy said that the only way the peshmerga will liberate Christian lands is to claim them as Kurdish lands. "Our ancestral homeland is the Nineveh plain. When we met with the Peshmerga generals, many of them were very much not in favor of the Assyrians and the Yazidis and the Turkmen shiites having their own province," Taimoorazy said. "We have to fight against that here in the West. 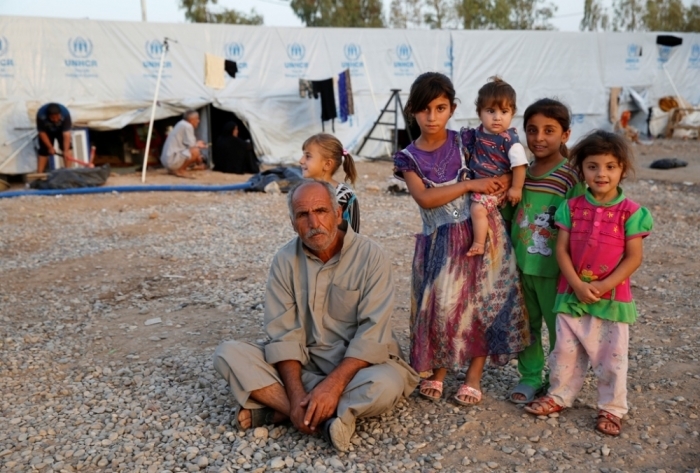 It is absolutely to be detrimental to Assyrians if we are completely tied to Erbil."